Fifi doesn’t like rain, she won’t even get out of bed when she can hear that it is raining outside. But sometimes there isn’t time to wait for the rain to pass, especially here in Yorkshire! 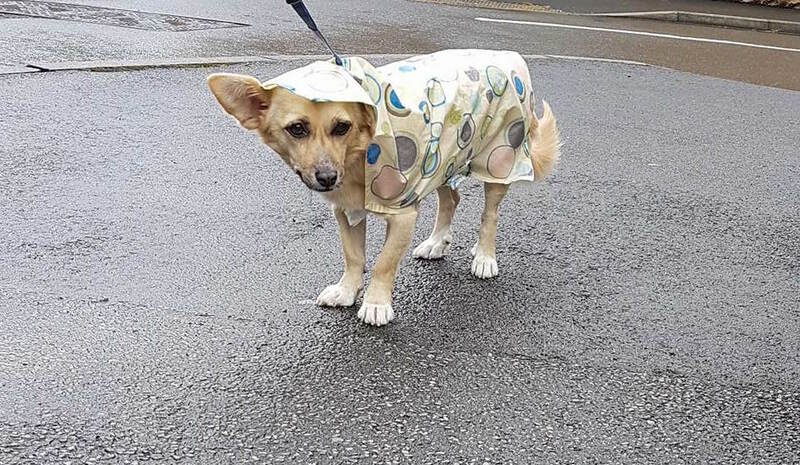 We went to Pets at Home to have a look at raincoats for her, however not only were they insanely expensive, but they were also not long enough for her. After hearing about this, my resourceful mum said she would make one for her, and here’s how she did it. 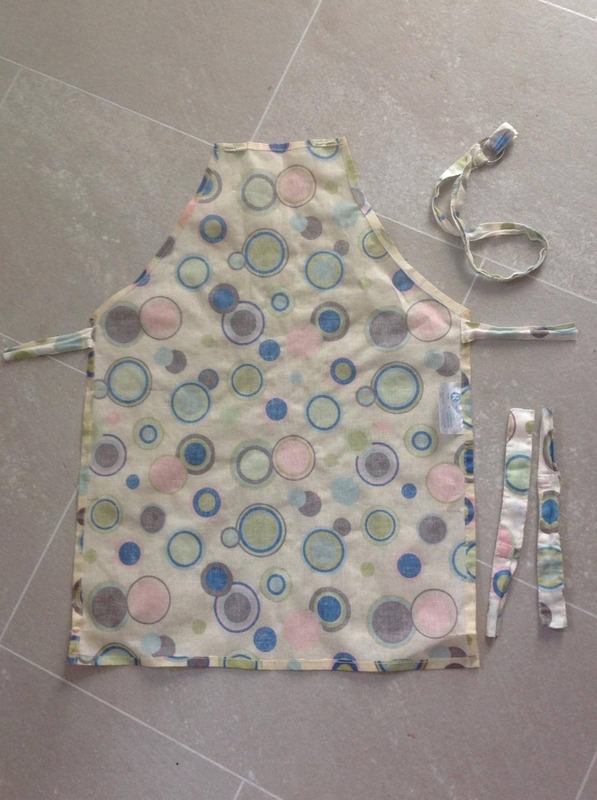 Have a look in the loft or go down to your local charity shop and have a look for an old plastic covered apron, it has to be a waterproof fabric. Firstly, you have to check that the body of the apron actually fits around the body of the dog. 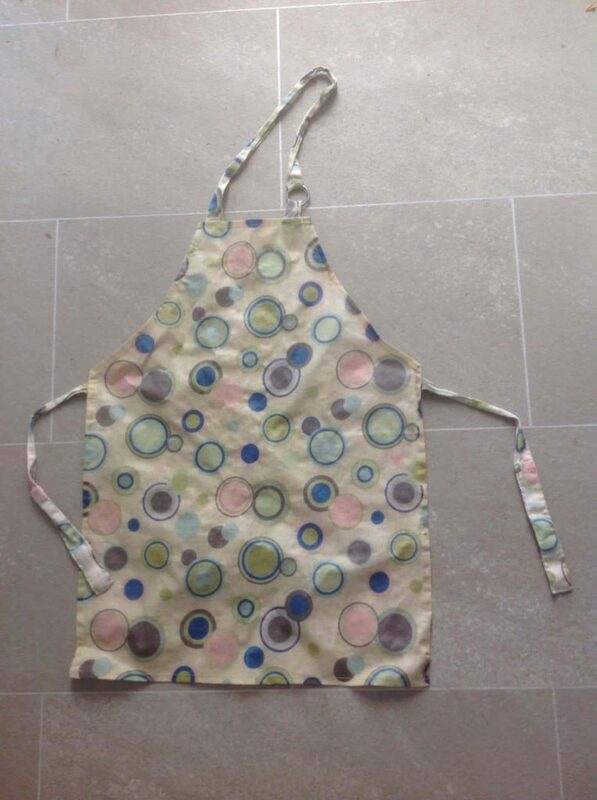 If you have a little dog you can use a child’s apron. Mark on the apron where the straps would go to fit under her chin and under her tummy. You then remove the neck strap and cut the waist ties down to size. Fold over the edges at the top of the apron to create a head covering, then stitch into place. Stitch the remaining straps back on further down the coat and stitch on the velcro. Create a hole where the dog’s collar or harness will be so that the lead can fit through. Use some of the remaining strap, and cut a piece twice as long as the hole, fold over the ends and stitch it over the hole. Then cut a hole in the middle of the fabric which lines up with the existing hole. Blanket stitch the material to the apron. This will reinforce the hole so that it doesn’t tear the apron/coat. To help keep the coat in position and prevent the wind from blowing the end up, add on some elastic to the bottom corners for the dog’s legs to go through. To ensure a comfortable fit, measure the length of elastic required by putting the coat on the dog, and looping the elastic round. This will also help you to ensure that you’ve got the elastic in the right place for the dog’s legs. 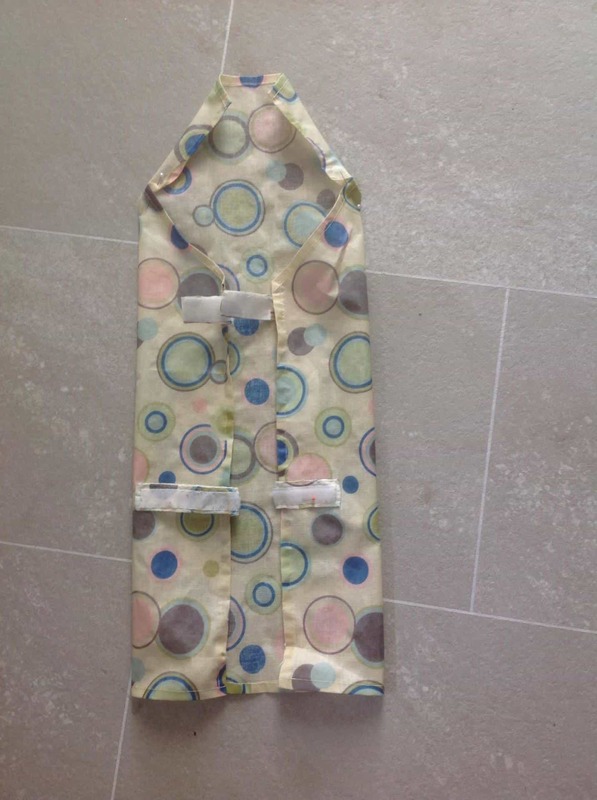 Remember to leave enough space for the dog’s leg to be posted through the elastic loop whilst the coat is on. Here is the finished product! As you can see the top strap fits around her chest, and the strap below fits around under her tummy. 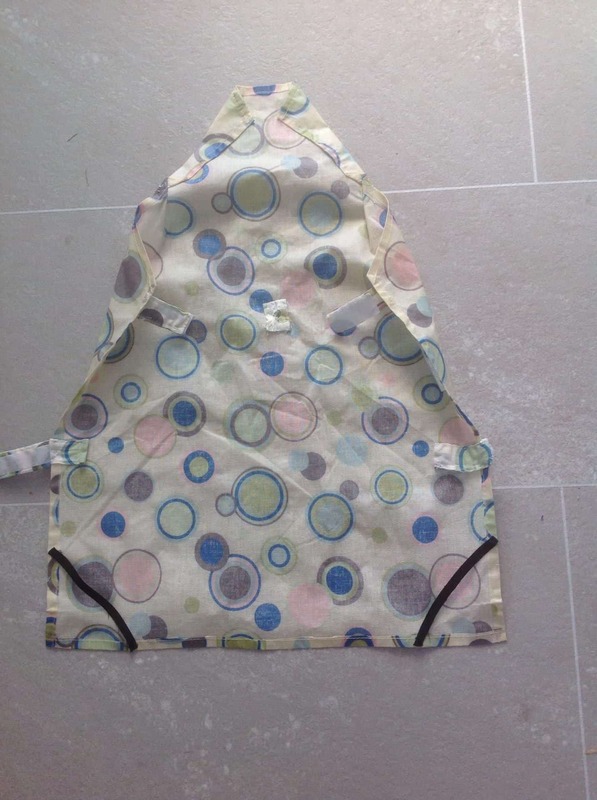 The top of the apron provides a head cover, especially good if your dog doesn’t like to get its head wet! Cardboard could be added into the head section to make a firmer rim to stop it from flapping about in the wind. 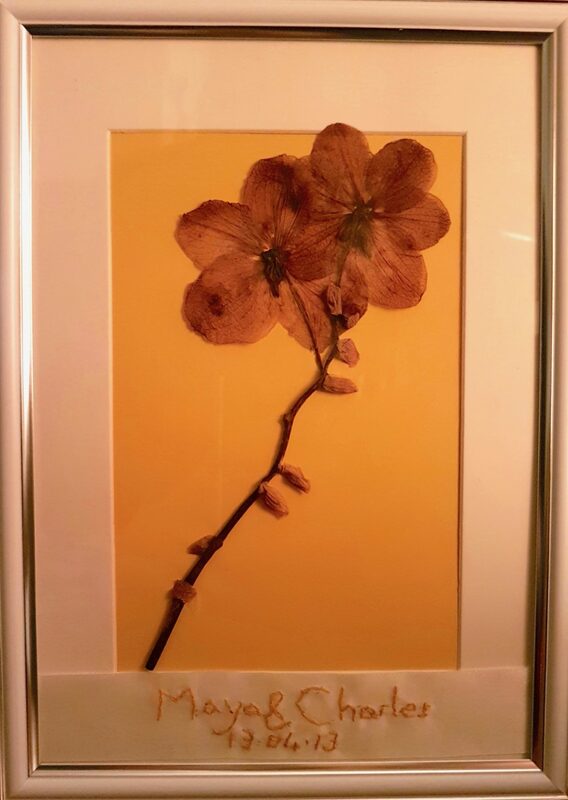 Pressed flowers, in general, are lovely, but if they have a sentimental attachment, they can make for a really personal gift. 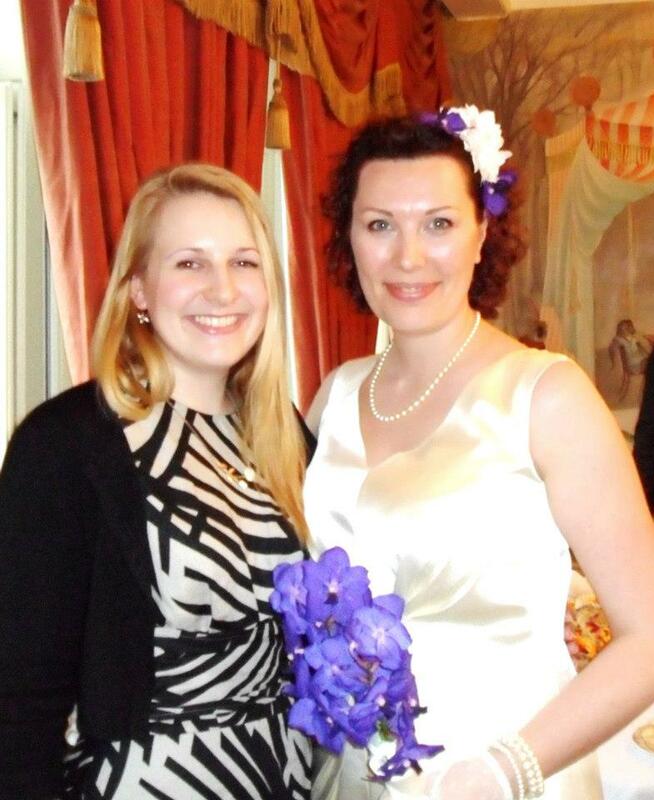 At a wedding I went to a few years ago, I was given the bouquet my the beautiful bride, my Aunt Maya. You can see the original bouquet below ? I thought it would be nice to press the flowers. I wrapped them in newspaper (to prevent staining) in my hardback book of wildlife and animal photography. I also kept the silk which was wrapped around the flowers. After a few years, I thought it was time to do something with the pressed flowers. Christmas was coming up so I thought it would make for the perfect gift. As you can see, it is quite minimalistic, but I didn’t want to do anything to distract from the main flower. I just used yellow card, as it brought out the purple tones in the petals the best. 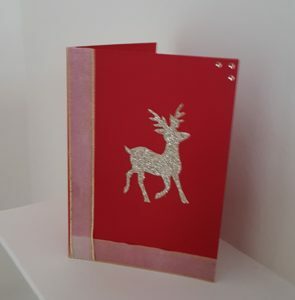 I already had the border in my craft box, but you could easily just cut your own out of thick card with a Stanley knife. I used an A4 frame that I had spare, but you could get one very inexpensively from your local ‘bits and bobs shop’, Boyes is good for that sort of thing. I embroidered their names and the date of the wedding onto the silk and popped it in. 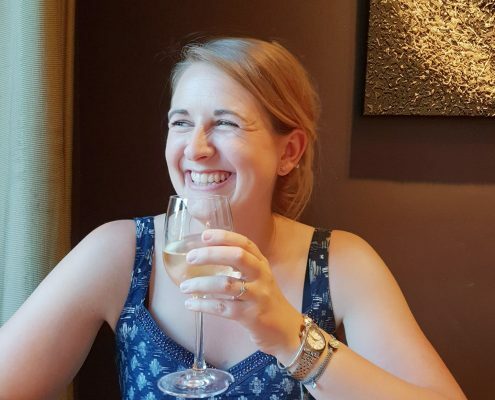 When I gave them it at Christmas they really liked it, and it was probably a bit of a surprise that I had kept the flower seeing as the wedding was in 2013! This would be a lovely wedding anniversary gift. 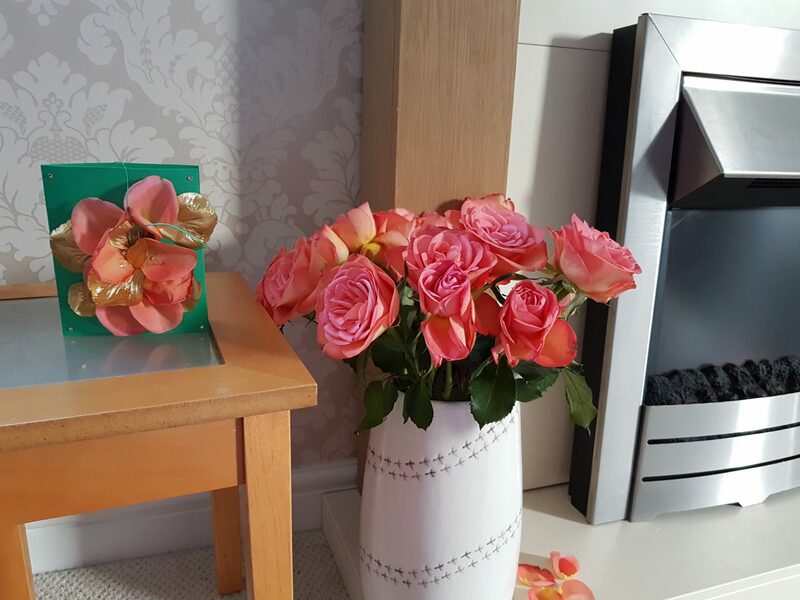 At most important occasions there are flowers, so its always a nice idea to take some away with you and press them, then you will always have a part of that day to remember. It was Mothering Sunday at the weekend, and I usually make my mum a card. I was about to start rifling through my craft drawers when the pile of rose petals on the floor caught my attention. I had never used real petals in a craft project before without pressing it first, so thought it would be interesting to see what happened. I first attempted to glue them on, however that really didn’t work and the natural curve of the petal was preventing it from staying down. So then I moved on to plan B, the double sided tape! This seemed to work much better. 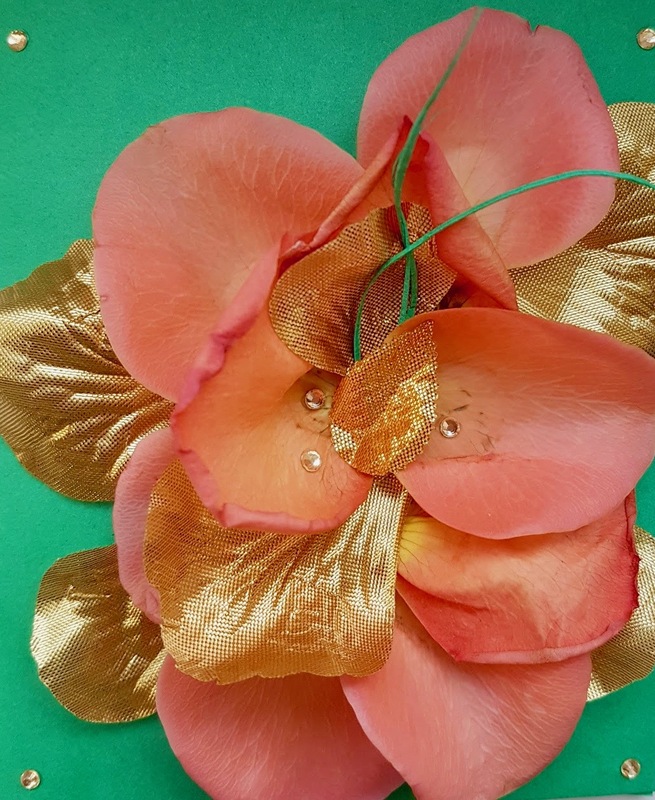 I had some gold bridal petals that I had bought for a previous craft project, so I stuck them on with double sided tape too. I chopped off a very thin slither of the green card, and stuck it in the middle. I tried spelling out ‘mum’ in the gold gems, but that didn’t work, so I picked them back off and just stuck them in each corner, and a couple in the middle of the flower. So, all in all, this would be lovely for a short term thing, but it isn’t the sort of card that is going to be treasured forever! It would actually be lovely for a wedding, you could attach rose petals onto the place cards.. although as it is time sensitive it might be better just using faux petals. 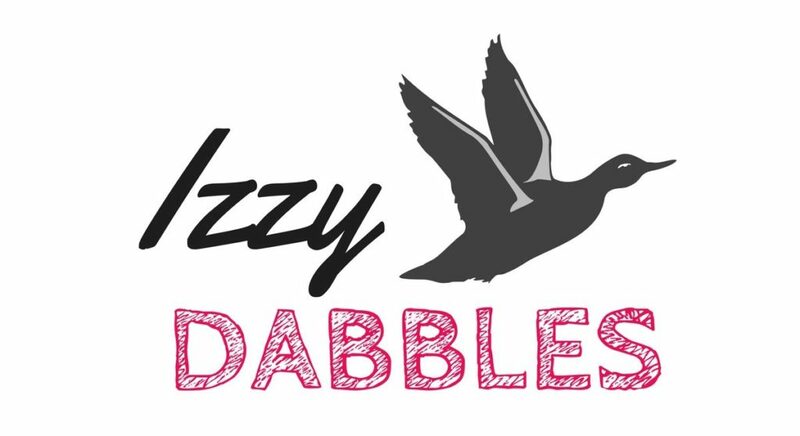 So there we have it, if you want to use real petals in a craft project, you might want to think about pressing them first! 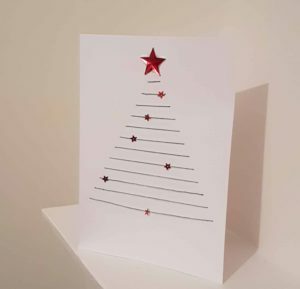 Here are a few examples of quick and easy Christmas cards. 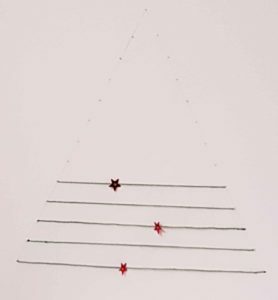 Use a pencil and ruler to draw on the outline of the tree, and mark on the points for the thread. Using a needle, make holes through the marked points. Once you’ve done this, just sew the embroidery thread through the holes. You can add on whatever you like to the design. I used some spare stars which I had, but you can use anything to create a bauble effect. You can create a more interesting design by incorporating other materials, for example alternating between wool and thread, as you can see below. 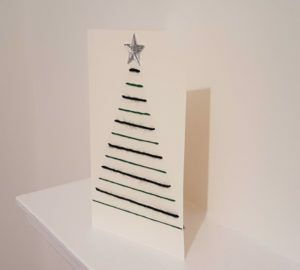 You don’t need to stick a star on the top, if you want to be minimalistic you can just stick with the tree on its own. 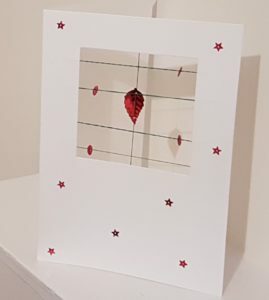 So this one is really simple.. Use any leftover ribbon which compliments your card colour, and you can get hold of a whole array of card toppers from Hobbycraft. Use double sided tape to stick down the ribbon, strong glue for the reindeer, and if you have any extra bits you can just stick them on too! Time to rummage in the craft box! You can either buy a pack of cards with pre-cut windows, or cut them yourself if you’ve got a good stanley knife! Then just cut embroidery thread to the length of the window, thread on the sequins, and use sellotape to fix it in place.